Founder-Ginkgo Zeng,Jianguo Zeng,Chinese Herbal Medicines,World-Way Biotech Inc.
Dr. Ginkgo Zeng (Jianguo Zeng) is the owner of World-Way and Micolta (Sino-German Joint-Venture) and also a Professor and Doctoral Tutor in Hunan Agricultural University and Director of Chinese National Herbal Medicines Production Technology Center (Hunan) and Deputy Director of Chinese National Plant Functional Components Utilization Engineering Technology Research Center. 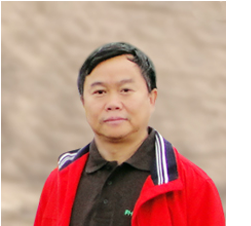 Dr. Zeng has been engaged in the development of natural products and utilization of plant resources for many years and also presided over and participated in more than 20 national and provincial scientific research projects. He published more than 40 papers in domestic and international professional academic journals and applied for above 30 patents. Dr. Zeng also serves as the Deputy Chairman in the Herbal Extract Branch of China Chamber of Commerce for Import&Export of Medicines & Health Products (CCCMHPIE) and Director of Standards Committee, and Deputy Chief of the Editing Committee for "Chinese Herbal Medicines", and Chairman of The Commission of Chinese Veterinary Pharmacopoeia (CCVP), and Vice- Chairman of The Society of Natural Medicinal Resources, CSNR.